Yesterday was sunny and warm whilst today had a frosty start which changed to windy and grey. Despite the condition time was made for a walk around the local area. Packet Boat Marina had a couple of foreign boats. 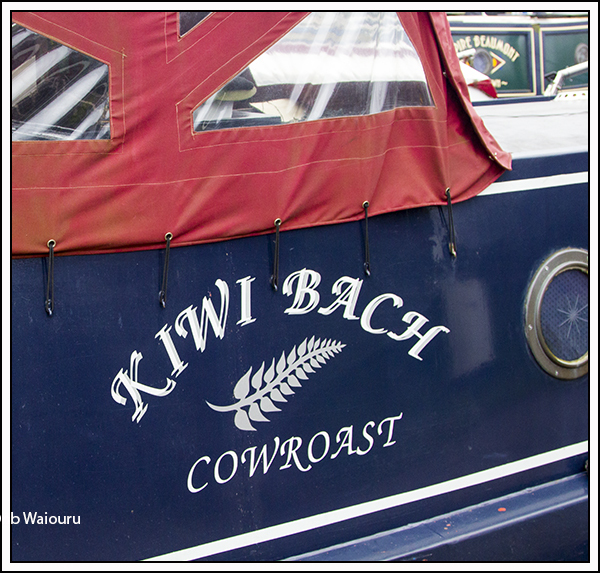 A bach is NZ slang for a small holiday home. Usually slightly more than a shed but less than a house. These Aussies are well settled with lighting. a door mat, portico and twin concrete gargoyles. 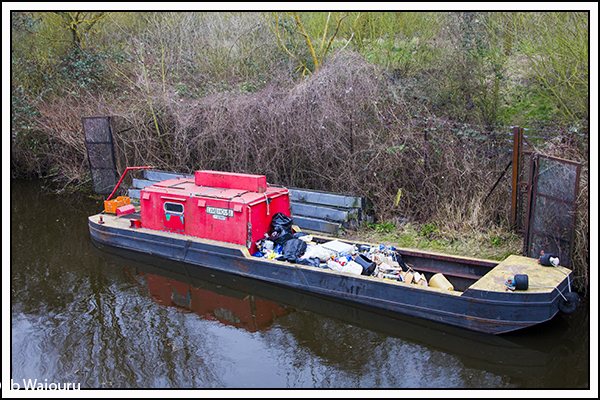 We had just finished reading about a community clean-up of the Slough Arm so I wasn’t all that surprised to see the following boat moored close to the junction. Apparently the arm has also been dredged for the first time in many years. The water in the arm looks like it has the same colour and consistency as the gravy we had with yesterday’s roast. 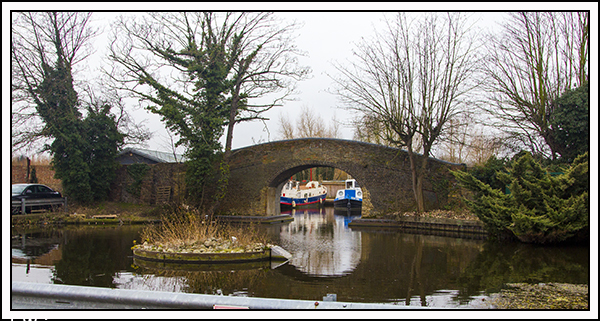 Paul Balmer (nb Waterway Routes) left a comment advising the only thing at the end of the arm is a winding hole. It’s a 2 hour cruise so we’ll probably take his advice and do a return trip in a single day. Another waterway to tick off on our bucket list! The Slough Arm is 5 miles long and runs in an east-west direction. 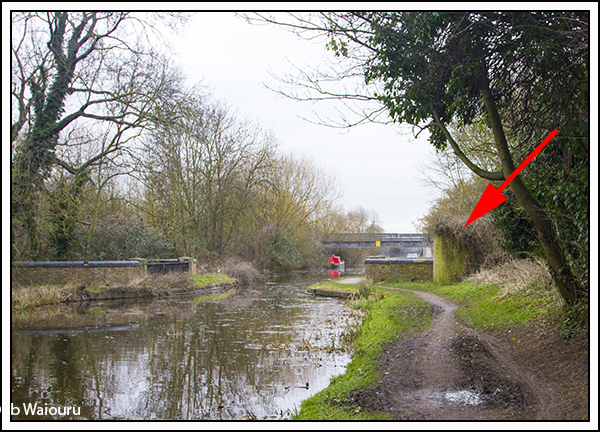 The red arrow points to a concrete pillbox which leads me to assume that like the Kennet & Avon Canal, the Slough Arm was fortified as an obstacle during WW2. 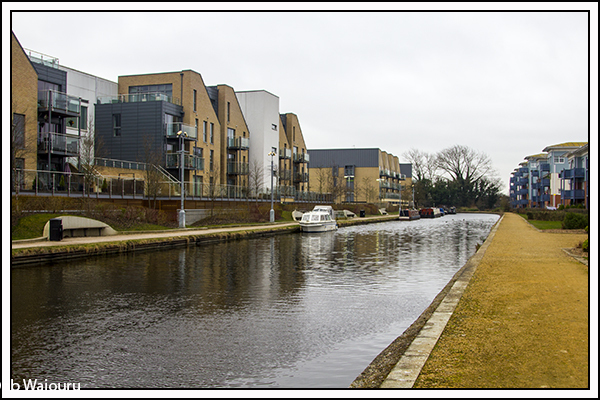 It’s possible to walk through waste land to the south of the canal and re-join the Grand Union slightly south of Cowley Peachey Junction in a residential area. 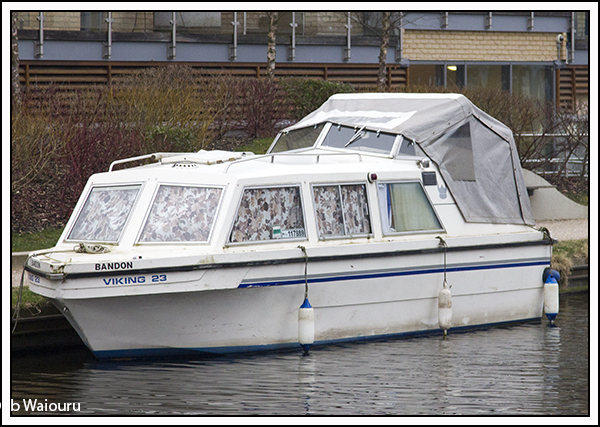 The small white tupperware boat has the best mooring on the straight being positioned outside the entrance to Tesco. It’s also a short walk to the Yiewsley pub and shops. I didn’t have my glasses so can’t confirm it. But I think there was a 3rd, more faded line, “arriving from outer Mongolia” At least the boat isn’t depriving someone of a mooring. 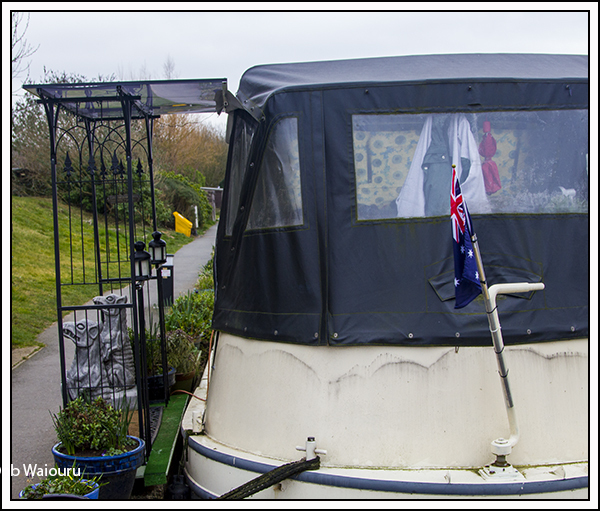 There’s a small basin back where Packet Boat Lane crosses the Grand Union. I assume it used to serve local industry in a previous life. It would be possible to wind (turn) a boat by entering the bridge hole. But after looking at the Waterway Routes canal map I realised there are better winding holes nearby.